Sweets - BIGGER is Better! 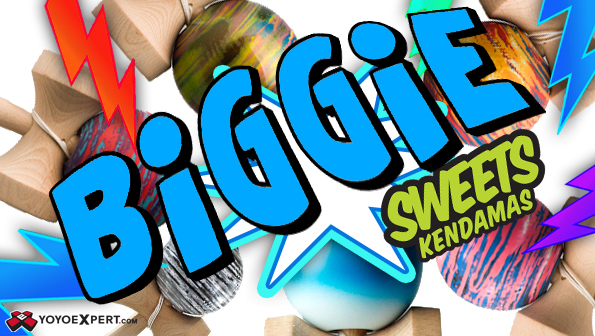 The Sweets Biggie Kendama is the newest addition to the Sweets Kendama Lineup here at YoYoExpert and it is quickly becoming one of our favorites! Sweets made this cool new kendama with one principle in mind - Bigger Is Better! The Biggie Kendama Stands tall at 9.5 inches and is quite a bit heavier than your average kendama, which creates a very different play style. Biggies provide you with slower, more controlled movements and a much more stable, balanced feel. The slower and more stable play style makes the Biggies great for learning and demonstrating new tricks. And with all the amazing, limited edition color ways this is one kendama every player will love!